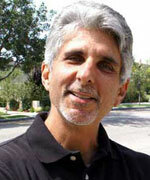 Art Kellner is a creative storyteller whose primary craft is editing. He is also a director and shooter with professional experience in many forms of media creation. Art’s career spans three decades beginning as a news cameraman for the CBS affiliate in San Diego, where he also worked in studio and field production. He then became part of the burgeoning computer effects industry in Los Angeles in the 80′s, initially as an animator and producer/director. Art headed effects divisions at post houses which produced projects for major domestic and international clients in both film and TV. Utilizing hands on experience with video effects technology, Art transitioned into editing, first with commercials and promos, then various program content for ABC, NBC, CBS, HBO, PBS, MTV, Warner Bros., Universal, Fox and others. In the 90′s focused his efforts as a show cutter for sit coms. In addition, his career path includes directing, shooting or editing of documentaries, short independent films, webisodes, and corporate videos. He is directing and shooting an ongoing, long term documentary on alternative energy production. Art just finished cutting the CBS sitcom ¡ROB! and is completing a pilot for ABC.